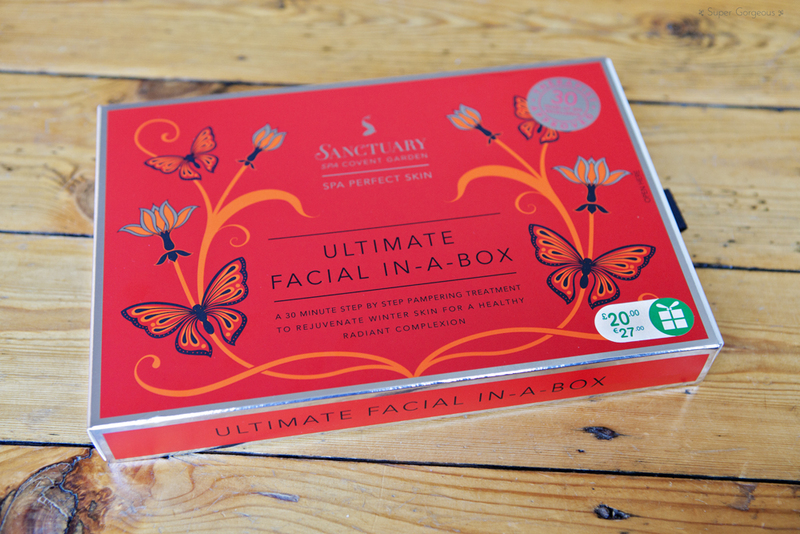 If you're stuck for a Christmas gift, let me recommend the Ultimate Facial in-a-Box from Sanctuary. The box opens out to reveal everything you need for an at-home facial including some award winning products, and step by step instructions on how to carry out a facial at home. 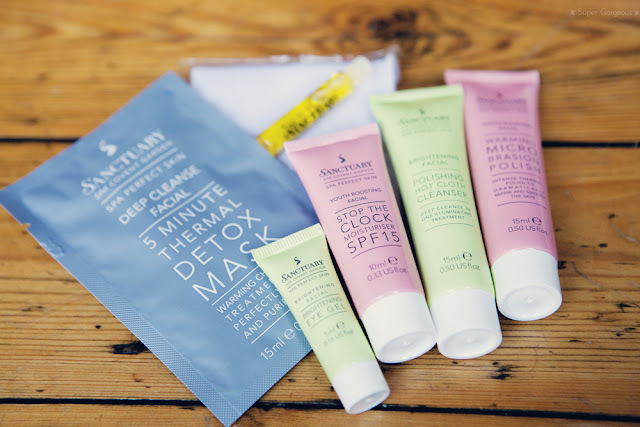 Inside the box is Polishing Hot Cloth Cleanser, Muslin Cloth, Warming Microbrasion Polish, Therapist Secret Facial Oil, 5 Minute Thermal Detox Mask, Lift & Brighten Eye Complex and Stop The Clock Moisturiser. The Mircrobrasion Polish feels gorgeous - a thick consistency with ultra fine particles in it, perfect for sloughing off those dead skin cells. The Cleanser contains chamomile which smells beautiful and is so calming to the skin, while the Moisturiser smells refreshingly citrusey. 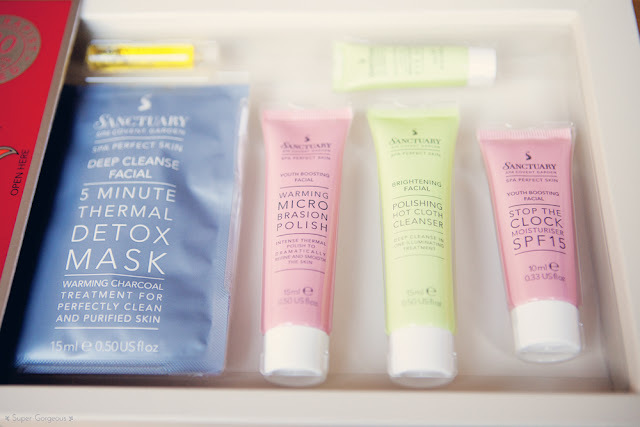 There is enough in the box to give yourself more than one facial, at the fraction of the cost of what a facial at a beauticians would cost. This pack cost £20 at Boots and is part of the Christmas 3 for 2 promotion. 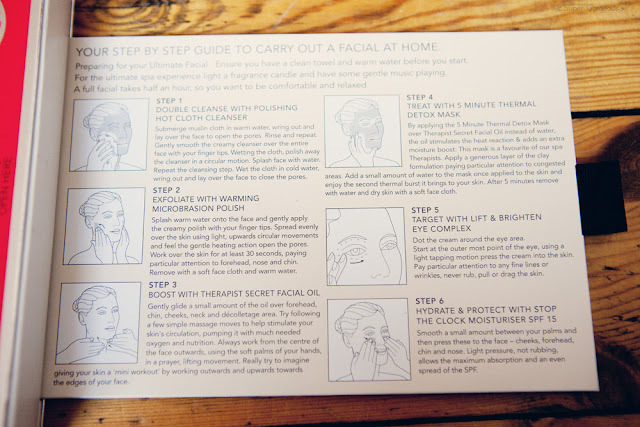 I think it's great that there are proper, thorough instructions with how to use the products and in which order. For someone that isn't au fait with the likes of facial oil, it's ideal! So, that's my little tip of the day for a nice easy, pampering Christmas present - hope you like it! If you have any Christmas tips to share, please do so below!